We're excited to launch Hatch (currently in beta), an online incubator program designed to help and support startups. Infrastructure can be one of the largest expenses facing these companies as they begin to scale. With Hatch, startups can receive access to both DigitalOcean credit and a range of other resources like 1-on-1 technical consultations. Our goal with Hatch is to give back to the startup ecosystem and provide support to founders around the world so they can focus on building their businesses and not worry about their infrastructure. Having come through the Techstars program, we know just how valuable this support network can be. The Hatch program includes a range of perks for startups to get started, including 12 months of DigitalOcean credit up to $100,000 (actual amount varies by partner organization). The program also offers various support services such as 1-on-1 technical consultations, access to mentorship opportunities, solutions engineering, and priority support. We're looking to go beyond just offering infrastructure credits. We want to provide founders with an educational and networking experience that will add tremendous value to their startup for the long term. Starting now, we are piloting the program to a small group of startups. While in beta, we'll be working to refine the offering and eligibility criteria for future bootstrapped and funded startups who apply. Must be backed by a partner accelerator, incubator, or VC firm. Less than 24 months in company duration. Less than $10 million raised, up to Series A. Startups who've received previous DigitalOcean promotional credit may not be eligible to receive additional credit. 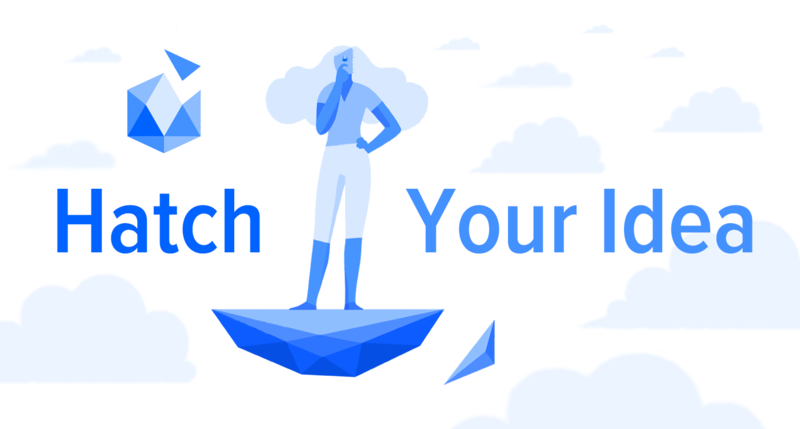 You can apply to Hatch by visiting digitalocean.com/hatch and completing the online application. Want to learn more? Read the FAQ. We're currently adding over a hundred accelerators, investors, and partners to introduce startups around the world to the Hatch community. If you're interested in becoming a portfolio partner of Hatch, you can apply here. Is your startup eligible and do you plan on applying? We'd love to hear from you! Reach out to us on Twitter or use the #hatchyouridea hashtag to tell us what your startup is all about.